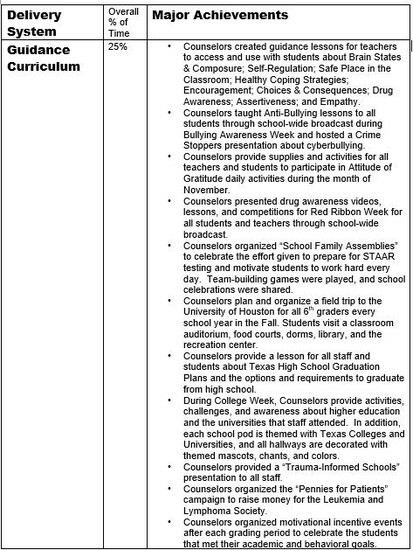 A CONTINUOUS IMPROVEMENT DOCUMENT SPONSORED BY THE TEXAS SCHOOL COUNSELING ASSOCIATION. Our success at Rick Schneider Middle School is largely due to the active role the Counselors play on the administrative team. They each guide weekly small student groups that consist of topics such as trauma, grief, divorce, conflict, and emotional well-being. They also conduct weekly individual student counseling sessions for specific students with greater needs. Our Counselors are instrumental and lead the way in the education and training for continuous growth in academic, emotional and social wellness of our students, staff, and families. As the Principal of Rick Schneider Middle School, I fully support the implementation of the ASCA National Model of School Counseling and the Texas State Model of the Comprehensive School Counseling Program. Both models provide structure that align with the services and goals within our Campus Improvement Plan. School safety, planning, social/emotional lessons, and our students' well-being have never been more critical than they are currently in public schools. At Schneider Middle School, we believe that the positive, personal connections adults make with their students can prevent much of the crisis and tragedy we have all seen too much of in the news lately. 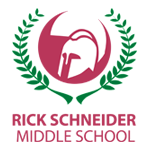 The comprehensive school counseling program at Rick Schneider Middle School includes social/emotional student lessons to help our students make better and safer choices when they are in crisis. Our Counselors also meet with teacher teams during their Professional Learning Communities to better equip our teachers on needed skills to help students who are in crisis or have undergone past trauma. In these small group settings, teachers are able to discuss specific situations and develop the necessary skills to help students while our Counselors facilitate these discussions. The purpose of the School Counseling Advisory Council (SCAC) is to collaborate as a team, to advise, and to guide the school counseling program throughout the year. The sole focus of the SCAC and our counseling program in general is to promote student success both academically and emotionally. The School Counseling Advisory Council is comprised of a representative group of stakeholders. School Counseling Advisory Council (SCAC) members are selected based on their involvement within the school, their ability to build relationships with faculty and students, and their professional abilities. The goal for our SCAC is to gather a diverse group of qualified teachers and administrators, community liaisons, and parent leaders. The council meets regularly three times a year with occasional meetings scheduled for special circumstances. One example of a discussed agenda item is our process for applying and receiving grants. This agenda item was discussed during the council’s first meeting of the 2018-19 school year. Our campus is applying for grants to fund various school-wide programs that will support the students' academic, social/emotional, and behavioral growth. The School Counseling Advisory Council tracks data and utilizes feedback and input to assist our Counselors with ideas to help our students become successful. The SCAC brainstorms ideas for school wide initiatives like Red Ribbon Week, STAAR Pep Rallies, Attitude of Gratitude Week, Anti-Bullying Week, and many more. In order to strengthen the school climate and safety at Rick Schneider Middle School, the counseling team actively promotes, employs, and trains teachers on the curriculum of Conscious Discipline. The goal of Conscious Discipline is for teachers, students, and the entire school culture to become a safe haven of cooperation, constructive problem solving, and academic success. Through “Spartan Shout-Outs,” the faculty and staff reinforce encouragement. Spartan Shout-Outs are affirmations celebrating anyone on campus for their kindness or helpfulness. The shout-outs are a reminder that we are all in this together, and it teaches our school family to value each other through acts demonstrating gratitude. Self-regulation during early adolescence can be difficult to navigate. Students are not always able to handle their upset, and they are likely to respond to an event or situation emotionally or even physically. Sometimes these emotions can demonstrate types of behaviors that mirror bullying because they take their feelings out on others. Every October, the Counselors organize lessons and activities for Anti-Bullying Week. The purpose of our Anti-Bullying Week is to encourage students, staff, and families to work together to stop bullying and cyber bullying and to put an end to hurtful behaviors. The students kick-off Anti-Bullying Week by participating in a lesson to first learn about the four types of bullying, and the difference between bullying and conflict. Throughout the week students also learn about bystanders and the harm it can cause to not speak up for others who are afraid to use their assertive voice and stand up for themselves. Students complete kindness challenges throughout the week which guide the students to choose kindness and helpfulness over being hurtful. One of the final activities completed was a bullying survey. The survey was completed by students, and its purpose was to see whether they see bullying as a major problem at Schneider. The survey results are from 322 responses from 5th and 6th grade students. Is there a bullying problem at our school? Do you feel most students are bullying others or is it just a few students? 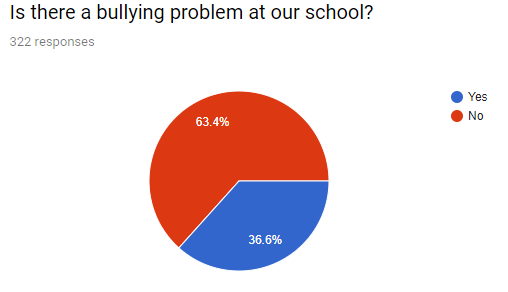 The results show that over half of the students who completed the survey did not believe we have a bullying problem at our school, and over eighty percent of the students felt like only a few students are bullying others. This data shows that based on the lessons, activities, and bullying procedures we have in place, the majority of our students feel safe from bullying or other hurtful actions that can affect climate. The role of the School Counselor in Schneider’s safety plan is to support the physical, emotional, and mental well-being of all students. When our Counselors work with a student, they also collaborate with all stakeholders to help the student feel safe and connected. During times of crisis, the Counselors along with the rest of the administration team and our emergency response team follow emergency response plans to ensure safety for all. 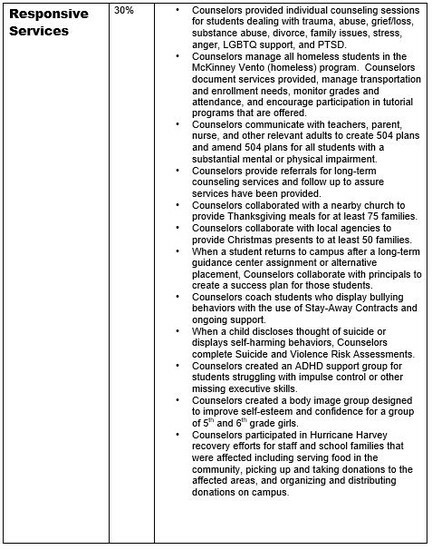 The role of the School Counselor in the district’s crisis plan is to serve on the district's Crisis Counseling Team. They receive their assignments from the Associate Superintendent for Administrative Services. Analyzing student results is imperative to evaluate student outcomes, program effectiveness, and to determine program needs. As a campus it is important to look at student outcomes and their relationship to the ASCA National Model to ensure that our counseling program is effective. The Counselors at RSMS play an important role in positively shaping the school’s climate and safety. By implementing several programs and interventions, our school has made significant progress in changing the climate and improving safety leading to an increase in student achievement. With these changes, we are creating an atmosphere in which students feel safe, accepted and performing at their highest levels. Our school has developed two goals that will allow RSMS to continue this upward trend. 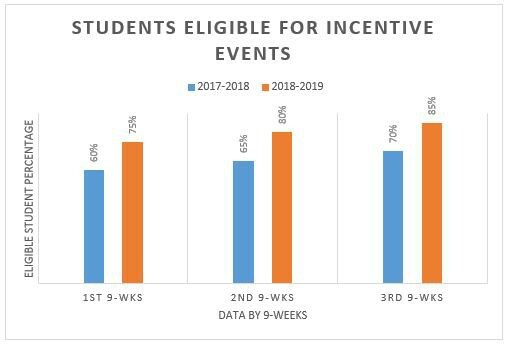 Data will be tracked at each of the three incentive events and compared to last year’s incentive events. Student eligibility rates from the 2017-2018 school year will be compared to this school year’s rate as a result of counselor interventions including group counseling, coaching staff with Tier 1 behavior interventions through Professional Learning Community (PLC) meetings, anti-bullying initiatives, and Conscious Discipline guidance lessons. Throughout the year, students will earn rewards on random days for attending school. School-wide attendance data will be monitored throughout the year on a daily basis. 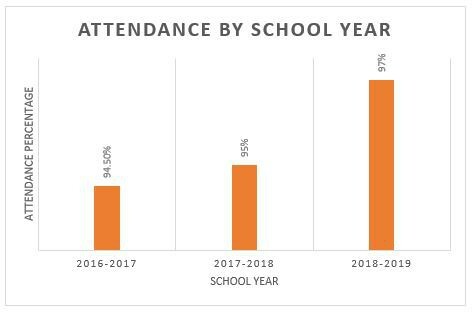 Student attendance percentages from the 2017-2018 school year will be compared to this school year’s attendance. The RSMS School Counseling Advisory Council will use the data to determine if the attendance interventions are successful and if needed, will revise the interventions to support the needs of our students and families more effectively. Our school chose the first goal because one of the ways we build a positive school climate is by highlighting student achievement in all areas (academics, behavior and attendance). 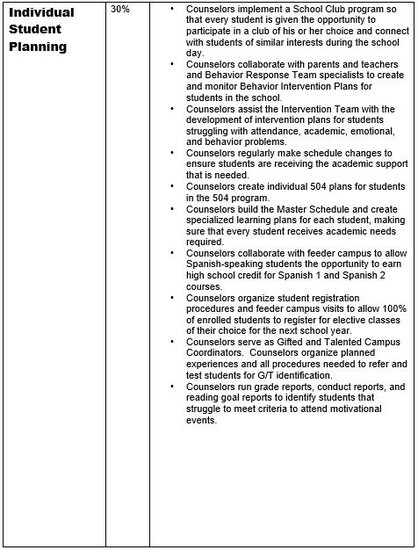 The counselors will implement programs and activities such as culture and climate lessons, Conscious Discipline strategies, Tier 1 behavior interventions, and counseling groups to minimize student misbehaviors and catering to the individual needs of our student body and staff. With these interventions in place, the counseling program will have a positive impact on the school’s climate, leading to higher student success and therefore increasing the number of students eligible for incentives. The second goal was selected because attendance is important to student success and building a unified school culture. By using attendance incentives, students will be more motivated to attend school and develop a positive attitude toward school. With a focus on school attendance, students begin to understand the importance of school, which reduces the risk of students dropping out later in their educational career. Both of these goals are important to promoting a safe and positive school climate. By increasing the number of students eligible for the incentive events and increasing attendance rates, students develop a sense of belonging and safety in their school leading to higher academic achievement. Counselors monitor attendance on a weekly basis and provide individual and group counseling to students with excessive absences as well as provide social service referrals and support for families in need. Schneider’s counseling department initiatives and interventions attributed to the decrease in the percentage of students with two to five behavior referrals. In one school year, the percentage dropped from 12% of students down to 6.58% of students, which was a 46 percent decrease. The percentage of students with six or more office referrals dropped by 80 percent as well! The counselors played a large role in this achievement by providing individual and group counseling to students with a history of behavior problems as well as coaching teachers to implement positive behavior interventions in the classroom. Counselors trained teachers and staff to see misbehavior as a call for help and provided strategies to replace unwanted behaviors. In addition, counselors planned motivational incentives to encourage students to meet their academic, behavior, and reading goals and give them an opportunity to celebrate their accomplishments. Counselors offered six to eight sessions of group counseling for various topics throughout the school year including trauma recovery, healthy coping strategies, self-harm, emotional and impulse control, ADHD, cancer support, and body image. Due to the implementation and positive feedback of group counseling sessions, both counselors were asked to present our group counseling strategies and implementation process with district counselors. Rick Schneider Middle School is grateful for the partnerships we have solidified within our community. These partnerships help our students’ academic, personal, social, and career development. 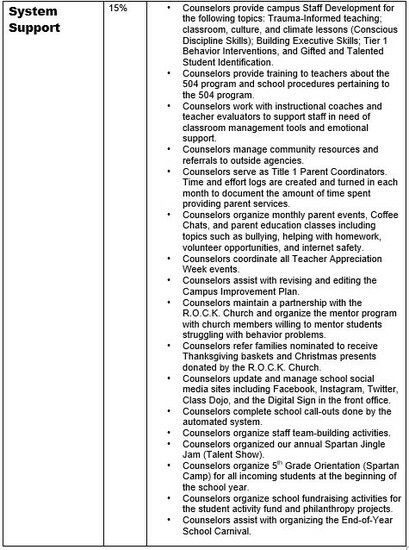 The counseling team and administration have partnered with our on campus Communities in Schools (CIS) Coordinator. CIS provides academic skills development, tutoring, and school supplies for our students. Students also participate in the Duke Tip Talent Search. Students who score at or above the 95th percentile on their grade level state assessment qualify to enroll in Duke Tip. Duke Tip provides students enrichment opportunities and educational programs. Our 6th grade students participate in a field trip to the University of Houston. Each year the University of Houston Bauer College Of Business welcomes our students and introduces them to campus life. Their partnership has not only caused our students to be interested in college but it also gives them an early look at the advantages of attending a university close to home. The Kids2College program also enriches the student’s knowledge about college. Through six lessons, the program educates students on education options, career exploration, paying for college, and connecting college and career. This year we initiated clubs that provide students with hands on opportunities to explore possible future careers. Having a variety of career focused clubs such as; cooking, forensics, gardening, keyboarding, photography, journalism, broadcasting, and flea market flip allows students to experience careers that they had little or no knowledge of previously. RSMS participated in the Backpack Buddy program sponsored by the Houston Food Bank. With the help of our CIS Coordinator, students took food items home every Friday to ensure they are eating at home. The R.O.C.K. Church is a local church that supports our campus in many ways. The church has helped provide Thanksgiving Baskets and Christmas presents to several of our families going through hard times. The church also supported many families by providing food and supplies to our families after Hurricane Harvey. Parents who have children at RSMS have different ways of staying informed and connected to the campus. Our School Counselors share information to parents through a variety of sources such as Remind 101, Skyward Family Access, our campus website, Facebook, Twitter, Class Dojo, Instagram, and printed flyers and newsletters. RSMS promotes parent participation throughout the school year. Parents are invited to monthly “Coffee Chats,” on a variety of topics. Counselors provide learning opportunities for parents on various guidance curriculum areas based on our Campus Improvement Plan findings. According to the data from the parent survey, parents are seeking to learn more about anti-bullying strategies, helping their child with homework, social media, and educational apps. We have provided parent workshops on growth mindset, bullying versus conflict, helping children with their homework, and how to check your child’s grades online. Counselors often collaborate and consult with parents. They provide feedback on students’ academic performance as well as shared community resources to assist families during times of need. The school district’s Special Programs department develops an annual Community Resource Guide to give to parents. The Community Resource Guide provides parents contact information on legal advice, food banks, shelters, outside counseling, mental health facilities, and more. Counselors worked with individual parents to select elective courses. The School Counselors and the Fine Arts team presented to incoming fifth grade students, and during the presentation they complete a course selection card stating which elective they would like to have for the upcoming school year. School Counselors also meet with students to help them during times of upset. The Counselors collaborate with a Victims of Crisis Counselor from Communities in Schools to provide individual counseling sessions when students exhibit/experience a time of crisis. Counselors provided support for teachers, parents, and students to help them face their many challenges. Examples of challenges include academic support, grief/loss, anxiety, suicide awareness, divorce, drug awareness, and transitioning from elementary to middle school, and middle school to intermediate school. This support is provided through workshops, individual conferences, flyers, and newsletters. If parents are unable to meet in person Counselors are able to participate in phone conferences with them to ensure the parents are receiving adequate support. Throughout the year, our School Counselors encouraged parents to be an active advocate for their child’s education.